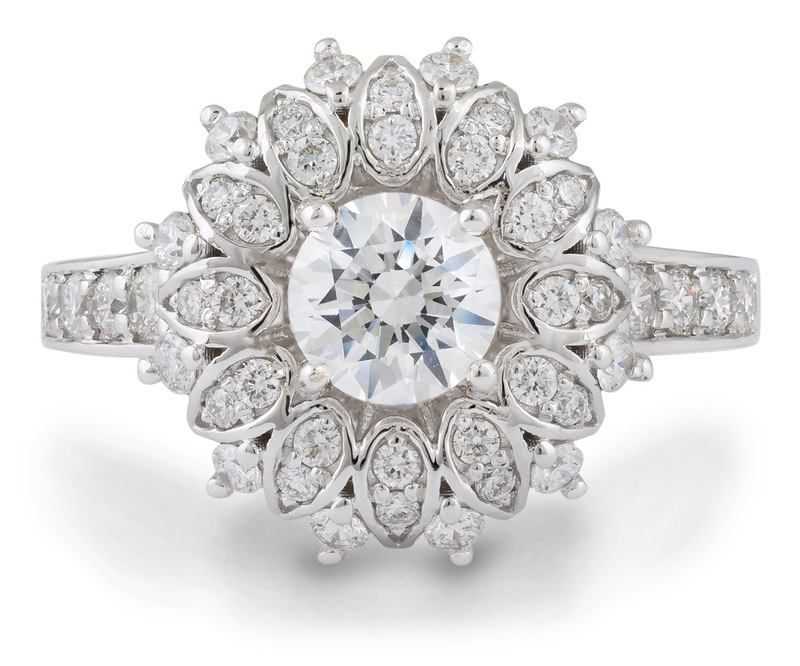 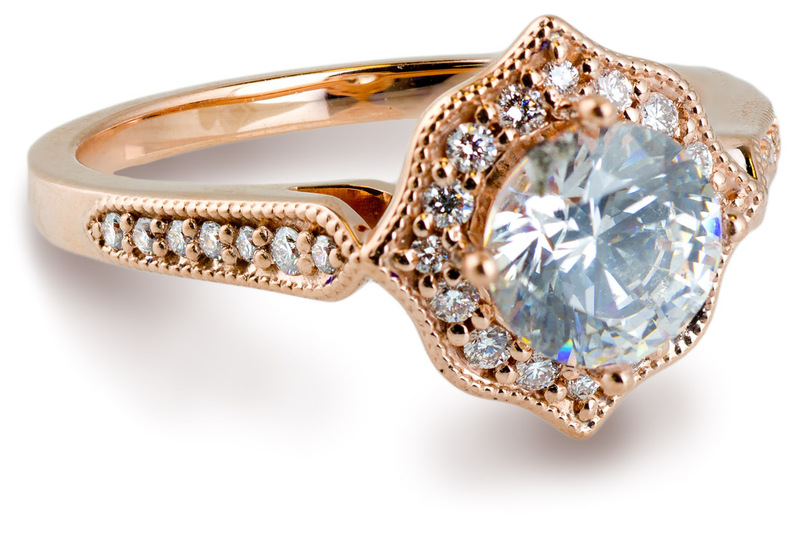 An elegant twist on the halo engagement ring. 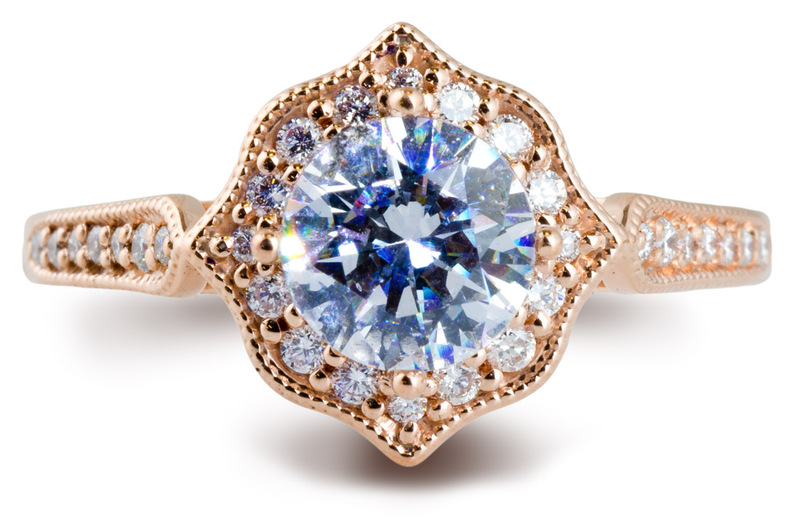 This vintage style piece features a pincushion shaped halo with four distinct points giving it a refined and sophisticated look. 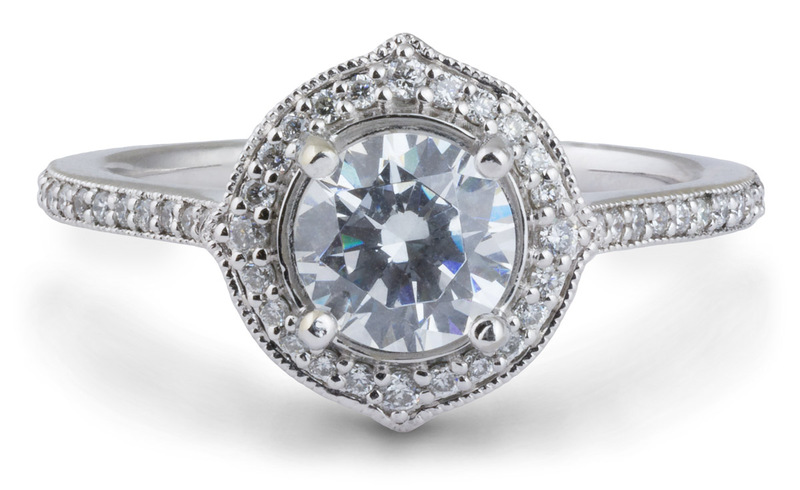 The classic milgrain pattern around the edges completes the look and enhances the vintage feel of the piece. 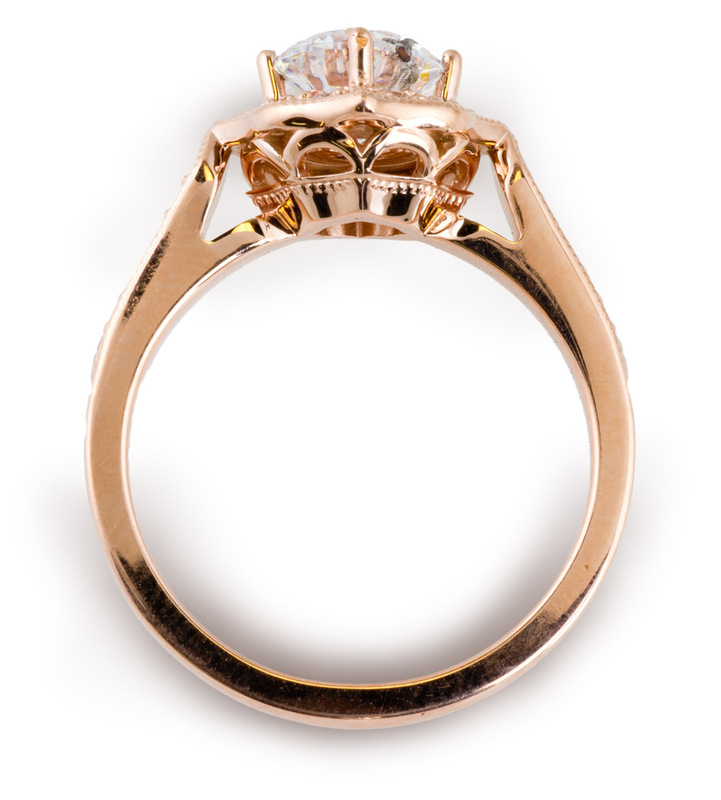 Cast in rich rose gold and set with high quality accent diamonds, this ring truly has it all.